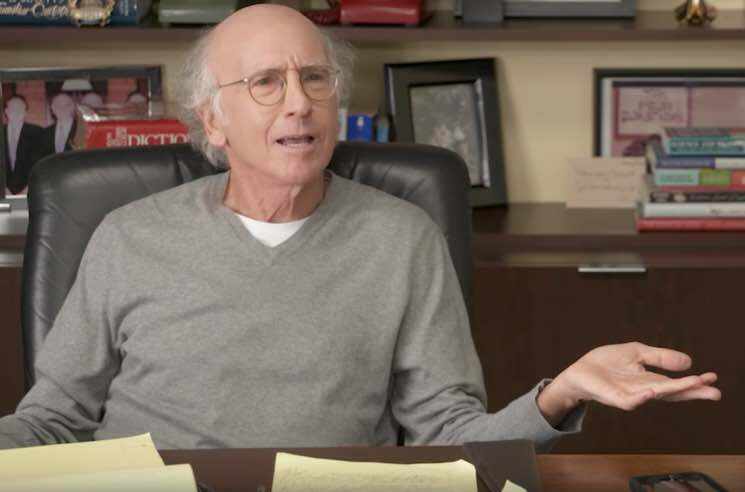 Curb Your Enthusiasm is slated to return for its ninth season next month, and HBO has unveiled another teaser trailer for the upcoming episodes. We've already seen Larry David reimagined as the world's laziest superhero in an earlier trailer, and the latest sneak peek isn't all that much more action-packed. We do, however, get to see David out of bed and behind his desk (as well as in front of a judge in a courtroom), plus cameos from Portlandia's Carrie Brownstein, Breaking Bad's Bryan Cranston and Veep's Andrea Savage. Other guest stars confirmed to appear in the upcoming season include Elizabeth Banks, Jimmy Kimmel, Ed Begley Jr., Nick Offerman, Nasim Pedrad, Elizabeth Perkins, June Diane Raphael, Judge Judy and Lauren Graham. Season 9 of Curb Your Enthusiasm starts October 1 on HBO. Watch the latest trailer below.